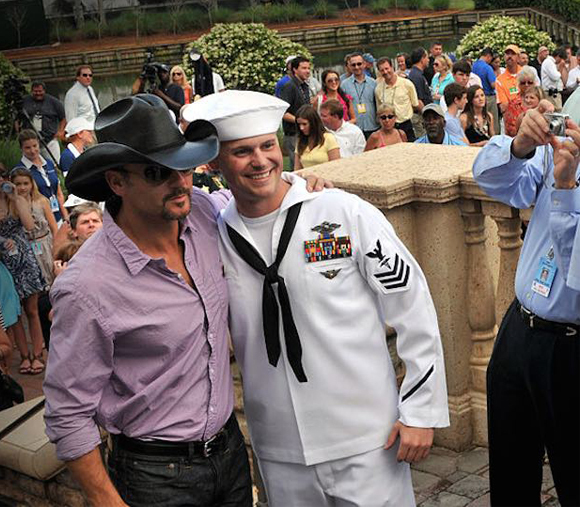 Home may be where the heart is, but for 36 lucky veterans, it’s on a street where Tim McGraw has bought each of them a house. It is fitting that on America’s Independence Day week we introduce you to the country singer who is providing financial independence for veterans with thirty-six mortgage-free homes. He’s handing out one per stop on his current nationwide tour. 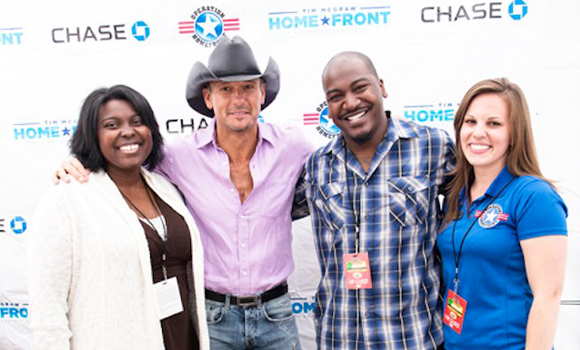 McGraw already has given away 108 homes to deserving military families in the last three years, after he formed a partnership with Chase Bank and Operation Homefront. “These are people who have given us security for a lot of years, and we’re able to do that back for them in a small way,” McGraw said of the veterans who have moved into the homes in 30 states. The Shotgun Rider Tour began June 6 and six veterans are getting ready to settle into their new homes. Next stop, Raleigh, North Carolina, on July 10.